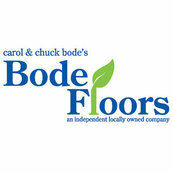 Hired Bode to take up carpet and put hardwoods down to match our existing floors. Thanks Mary Pat for your favorable review. It's always great to hear positive feedback from our clients. We appreciate your business!